Darkness descends on the world again. The Lord of Darkness launches a new attack and destroys everything in his path. He has armies of more than one million troops, and there are only a handful that can stop him. No, the story is not the most interesting, fresh or innovative, but then again, it’s a hack and slash game. Compared to the first version of Ninety Nine Nights, the story has improved, however. In N3 the stories of the playable characters barely touch each other, but in N3II the stories of the characters are intwined into closer knit tale. The differences between good and evil are clearer in this game as well; all characters fight against the “lord of the night”, not against each other. Wether this is better or worse than in N3 is a personal preference. One thing that I consider a plus is the lower drop rate of items; you are forced to evolve your character in a more RPG style, not just by selecting the best accessories. Because of this, the replay value of the levels are much more present. The next level in each character’s storyline is a lot harder then the one the player just finished and they really need the points to improve their character in every way they can. 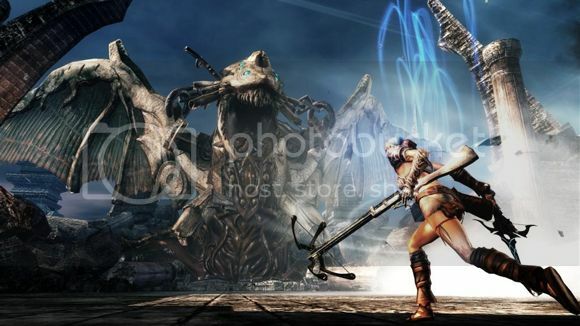 The length of the levels has increased; this also a necessity for improving the player’s character, since the points they need to improve their character comes from the amount of enemy creatures they kill. The shortest level will take at least ten minutes, and that’s when the player is rushing from the first main objective to the next. Luckily there is a decent in-game save feature that saves the player from traversing the entire level all over again after being killed by the end boss. The final boss fights do include some tactics, not just button mashing until he dies. The bosses themselves are well designed, but the difficulty differs a lot depending on the character chosen to play as. 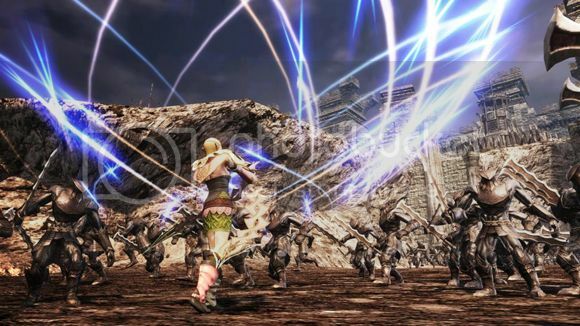 This also means that the same bosses will appear across all the different player characters’ stories. A point of concern is the AI of the NPC’s the player has to fight along with, especially the other playable characters they meet during the missions; their efforts to help out are really low. A possible explanation might be that these missions will be playable in the online co-op, a feature of the game that I, unfortunately, couldn’t try, since there was no-one I knew who had the game already. The mechanics of the battle are as easy as they are fun to perform. Every character has his or her own specific move: a sweeping and a stabbing move. Pressing the sweeping/stabbing move repeatedly performs a combo with an increasing range until you perform an area of effect move that takes about 99% of your screen. The visual effects of these moves are very well designed, but may be a bit hard to control. Within an open terrain this isn’t much of a problem, but when the player starts a combo in narrow corridors or traveling through a blizzard, they might find themselves facing a wall or a ravine when the combo is finished. There are a few options in this game that luckily can be tweaked to your own personal preferences, such as the language of the game and blood turn on or off. 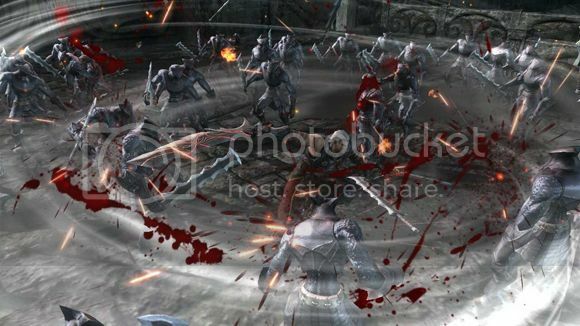 The amount of blood is very low, when you consider the fact that you fight multiple enemies simultaneously. The game is a very nice hack and slash adventure with some nice RPG touches. If you want to see some extreme action and have a little bit of a heroic story, then N3II can really bring a smile to your face.